Shaking things up! Maci Bookout, Catelynn Lowell and Amber Portwood were cautious before meeting their new castmates, Bristol Palin and Cheyenne Floyd. 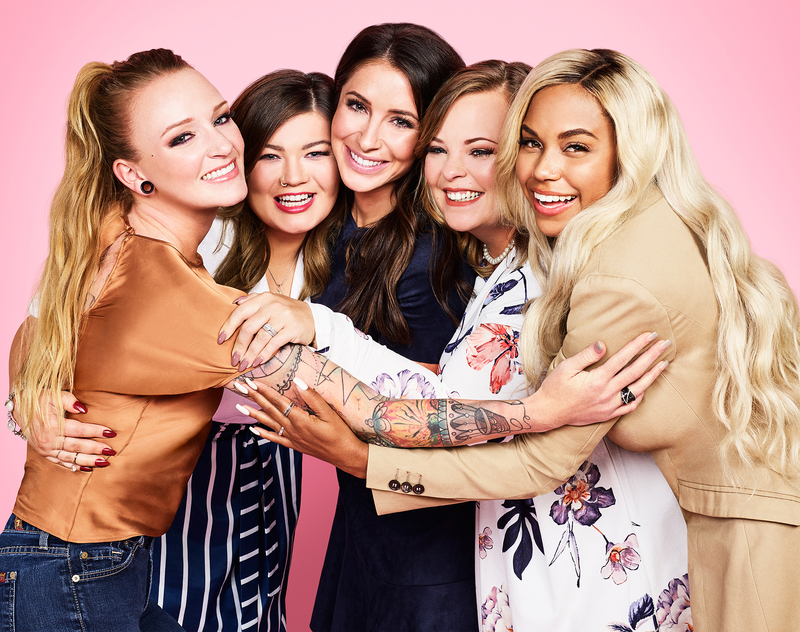 During the Monday, November 12, episode of Teen Mom OG, the five mothers come face-to-face for the time. But beforehand, the original three admitted they were a bit worried. “It’s like, everything’s working against the five of us being able to just start fresh,” Maci, 27, says in Us Weekly’s exclusive sneak peek of the episode, where the original three are getting their hair and makeup done ahead of a photo shoot. The shoot was the first time they all meet Bristol, 27, and Cheyenne, 25. “It makes me feel like, ‘OK, are we doing something wrong that’s not good enough anymore?’ That’s just my personal, weird anxiety I get,” Amber, 28, admitted and the others agreed. Bookout, 27, noted that she was scared about what the new additions would think of “the three stooges,” since some reports claimed they weren’t happy about the casting. Both were announced as new additions following the exit of Farrah Abraham. “Hopefully were not dealing with Farrah s—t, but I don’t think they’re anything like that,” Amber added. Us Weekly spoke with the cast exclusively on the day they all met and the girls were pleasantly surprised by how well they all clicked.